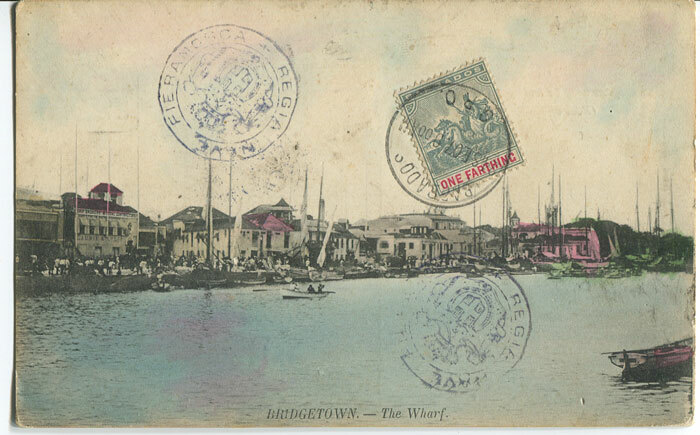 strip of 4 on 1906 postcard to U.S.A. with attractive view of the Post Office in Hamilton. Fine. 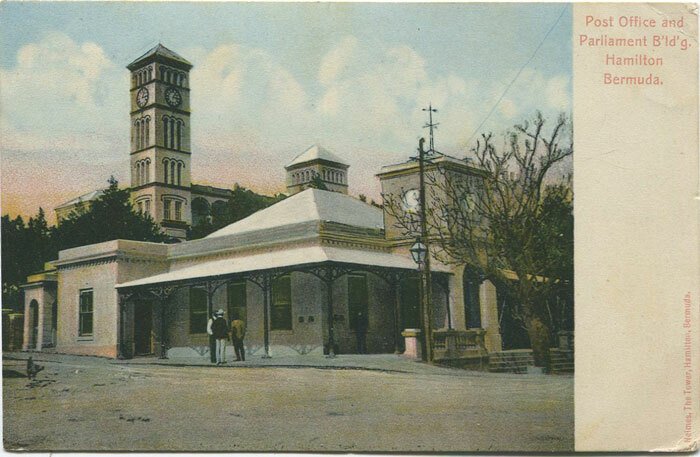 1907 postcard with ¼d tied by GPO cds on picture side. 'FIERAMOSCA REGIA NAVE' Italian naval cachet at left. Unaddressed. together with EDVII 3d on F/S size local cover to W.L. Linwood, Georgetown cancelled by Georgetown cds's. Crease at right. Clean. 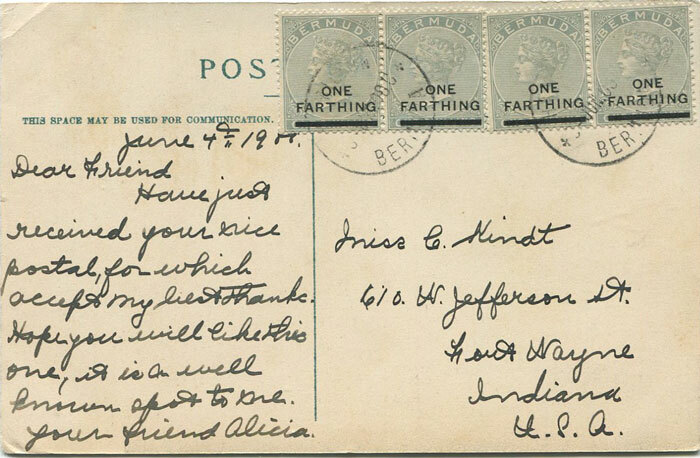 (H/G3), addressed to R.N.S. 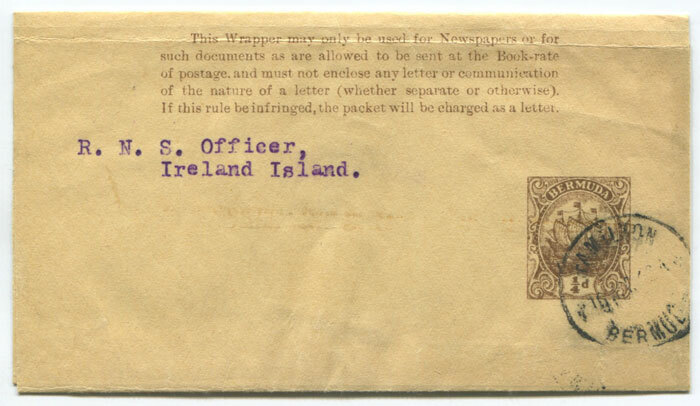 Officer, Ireland Island with 1912 Hamilton cds.